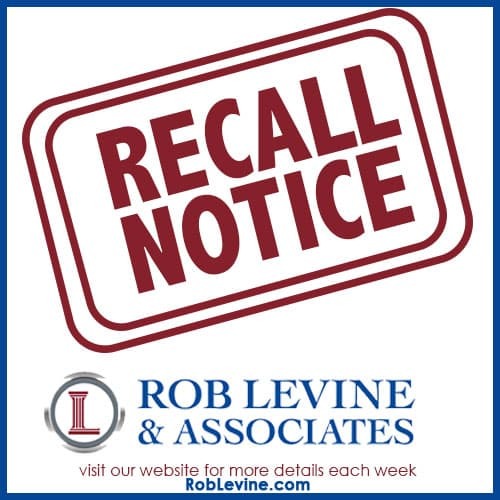 Volkswagen is recalling select 2018 Atlas, Passat, Beetle, Beetle Convertible, Golf, Golf SportWagen and GTI and Audi Q5 and SQ5 vehicles. There is an issue with the brake caliper pistons that may affect the brake performance on said vehicles. Ferrari is recalling select 2012 Ferrari California, 458 Italia, 458 Spider, and FF vehicles that have not already received a new frontal airbag replacement on the passenger side. The past airbags have airbag inflators that may explode in case of a crash. BMW is recalling select 2018-2019 BMW X3 xDrive30i, X3 sDrive30i, and X3 M40i vehicles with the “Active Lane Keeping Assistant” option. There may be a problem with the steering wheel interacting with the keeping assistant, increasing the risk of an accident. Continental is recalling select Conti Coach HA3 tires in size 315/80R22.5 157/154 L. If the DOT codes are in between A372KWUU 3517 through A372KWUU 1618 there may be cords visible through the inner liner. Harmony is recalling select Big Boost Deluxe booster seats. The seatbelt may cause an unnecessary force on the restrained child’s chest.